OAKLAND — Isabella Lew has taken and passed her examinations from the Chikushi Kai, based in Fukuoka, and now holds her shihan degree teaching credentials. 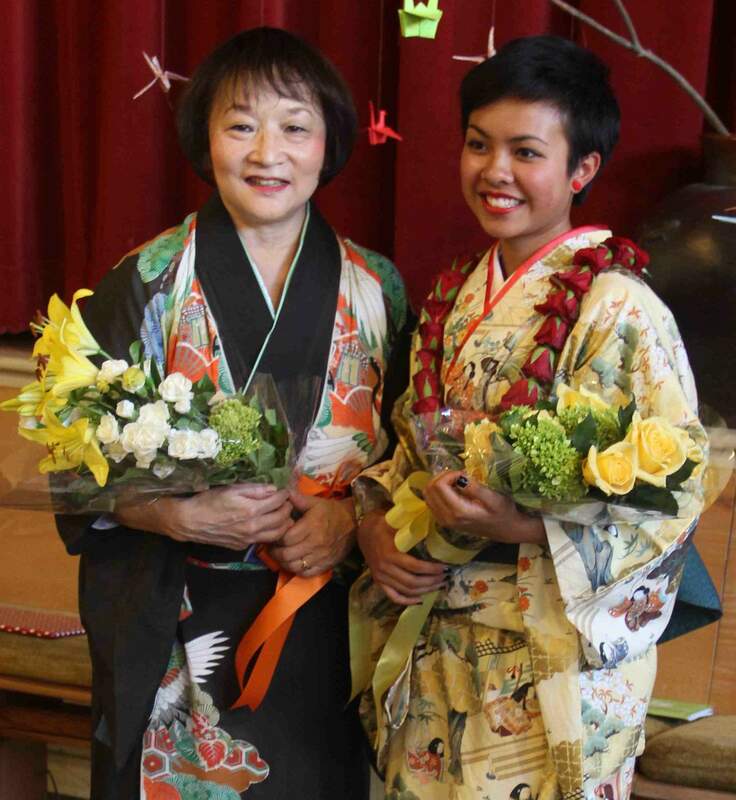 Koto master Shirley Kazuyo Muramoto and her student Isabella Lew. She is a student of Dai Shihan Master Shirley Kazuyo Muramoto, and Muramoto’s second shihan-level student. They were able to achieve this through funds provided by the Alliance for California Traditional Arts Apprenticeship program (www.actaonline.org). Lew started koto lessons with Muramoto about eight years ago as part of an after-school program at Montclair Elementary School in Oakland. Right from the start, Lew was an exceptional koto student, learning techniques and songs very quickly. 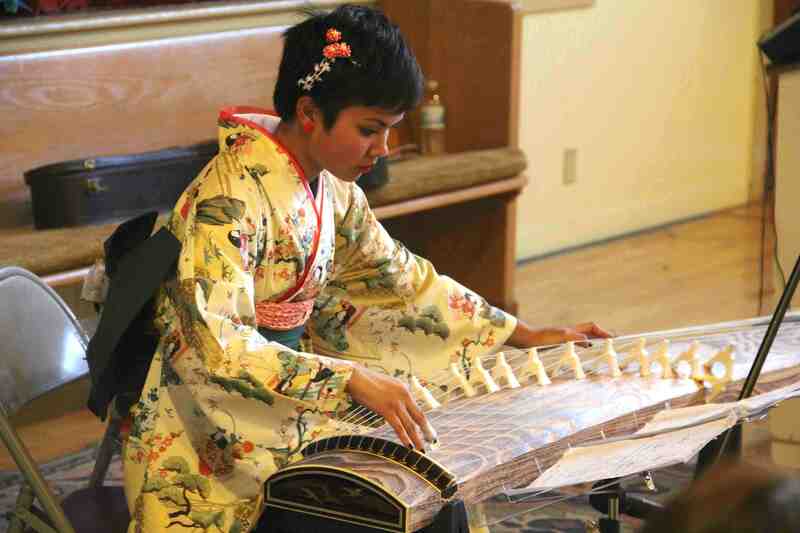 She continued private lessons from Muramoto and performed at local concerts and community events, including recitals and cherry blossom festivals. A graduate of Oakland Technical High School, Lew will be starting at Cal Poly at San Luis Obispo as a civil engineer major this coming fall. Her curriculum with Muramoto included training on classical, traditional, contemporary, jazz and rock music on the koto. Isabella Lew plays the koto.